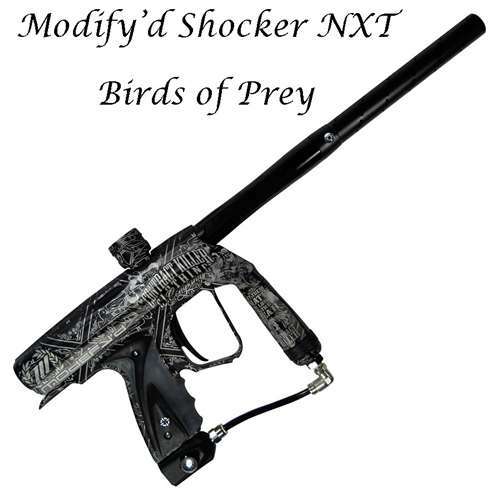 “The field proven performance of the Shocker NXT, with its minimal weight, compact size, sizzling rate of fire and simple maintenance has accompanied some of the world’s best professional paintball teams to the winner’s podium. It’s not a cheap marker and everyone knows that, what shocked me though is the difference in the price depending on the place that sells it. The gun’s price varies from $580 to $900, which is a huge difference. I have no idea what’s causing that, but I guess you should be careful where you’re getting your markers from. Make sure to check out as many options as possible. As to the marker itself it sure deserves getting.